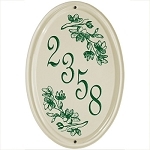 Add a distinctive finishing touch to your home or business with one of these oval plaques. 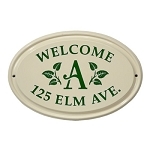 Tip: The petite size plaque works well for an apartment, condominium, or interior door. 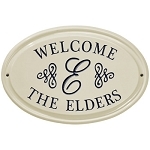 Select the design, shape and color that best compliments your home. 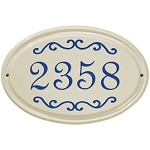 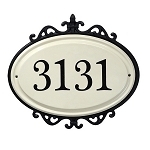 Personalize your home with an address plaque or a name plaque. 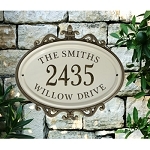 With our address plaques, simply choose a color, enter your address, and we'll have it customized for you!